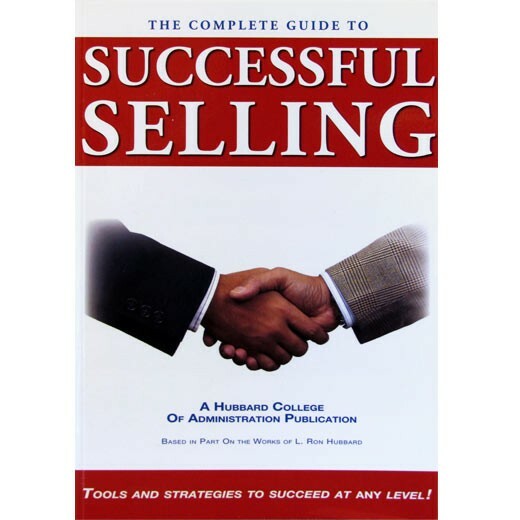 Based on the works of L. Ron Hubbard, “The Complete Guide to Successful Selling” is a powerful sales training guide, practically an encyclopedia of sales technology, including over a hundred drills designed to help you to increase your sales performance! Whether you are new to the game of sales, or a seasoned professional, this book has everything you need to know for sales success, and to earn the income you’re capable of earning, including how to establish a sales relationship with any prospect, how to discover a prospect’s real interest, the four categories of objections, the most important skills a salesperson must learn, how to use software to manage your time and accounts, and much more, including over a dozen unique closing techniques that can be applied to any type of sale, large or small. “The Complete Guide to Successful Selling” isn’t only a book, it’s a step by step training guide you can do at work or home, with dozens of unique drills created by experienced sales trainers. Elevate your selling potential to the highest level! Buy this book and learn the full technology of sales now!